I wore these sneakers to Refinery 29’s 29Rooms (as seen in this Instagram post) and felt like I dressed the part and then some. Then I wore them with this outfit and felt like I was ready to rock the weekend. 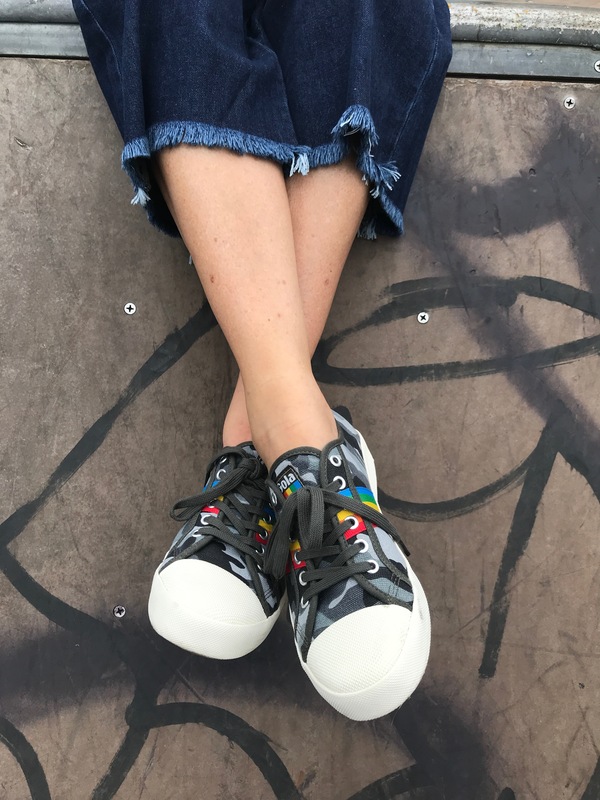 In short, these sneakers are super comfy and super chic. Not to mention affordable. They are from Gola, a new brand I recently discovered. 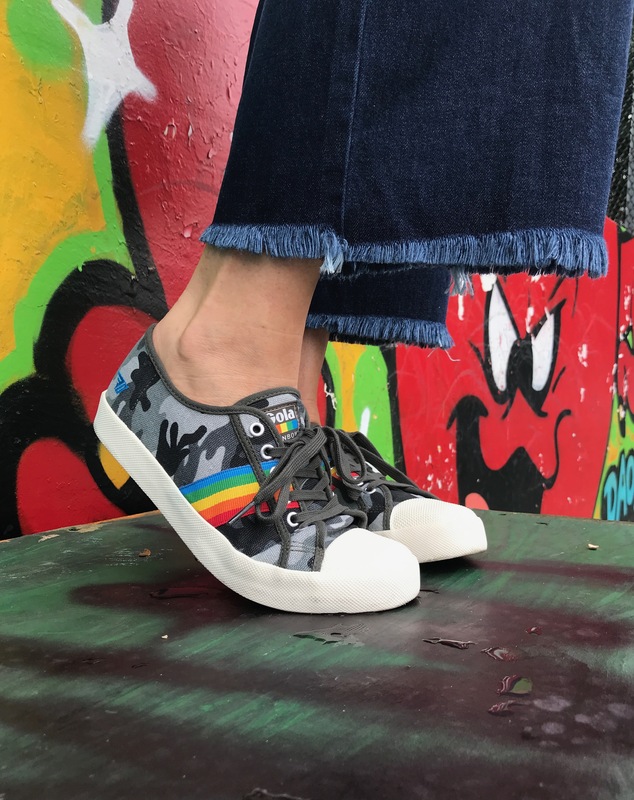 Born in Britain in 1905, Gola holds its British heritage close to its heart (and rainbow). Using their archives, Gola is now reimagining archival designs to give them a fun, modern feel. I’d say…Gol! From top to bottom, this outfit is all about some of my fall faves. If statement tees were all about summer, statement sweatshirts are all about fall. I just love the cheeky chic of this one. I only wish there was a Nouveau Jersey version! And these jeans? They are a Madewell x Karen Walker collaboration you have to get in on. Since 1989, Karen Walker has specialized in versatile pieces specializing in charmingly offbeat details. Her exclusive Madewell collab is all about a cool workwear vibe with exposed zips and raw edged hems. I can attest to their high-end, irreverent look and feel. In other words, they are already in heavy wardrobe rotation. In fact, I just wore then for date night tonight. Last but not least is this see-through tote seen earlier in this post. What’s so great is that the cute gingham insert snaps out, allowing you to fill it with whatever else you want. And this winky eye girl clutch from way back was, well, perfect. Wink, wink. I’m going to be wearing quite a few new (and old) sneakers in the weeks ahead. 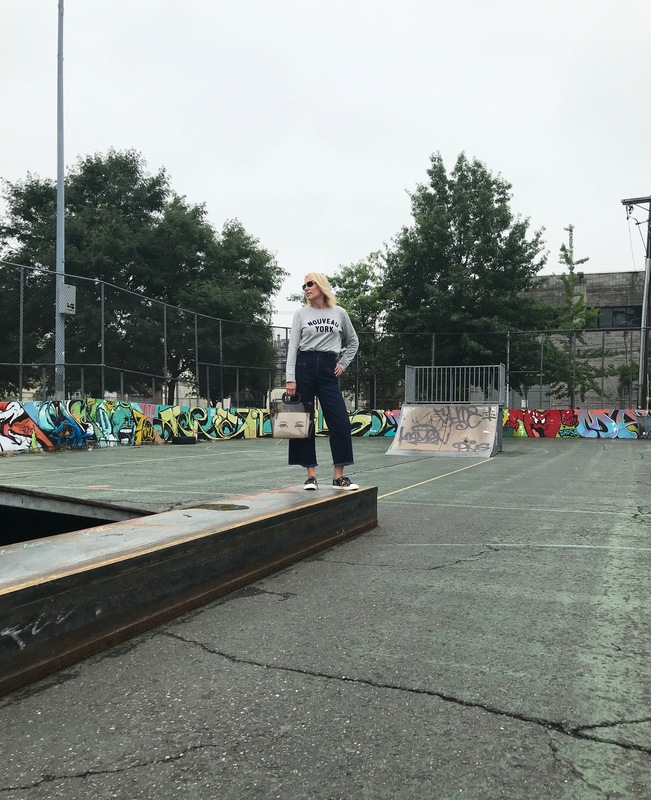 According to NYC fashionistas, they are still the go-to shoe whether you’re strolling around the Farmer’s Market in jeans or frocking out at your next GNO. 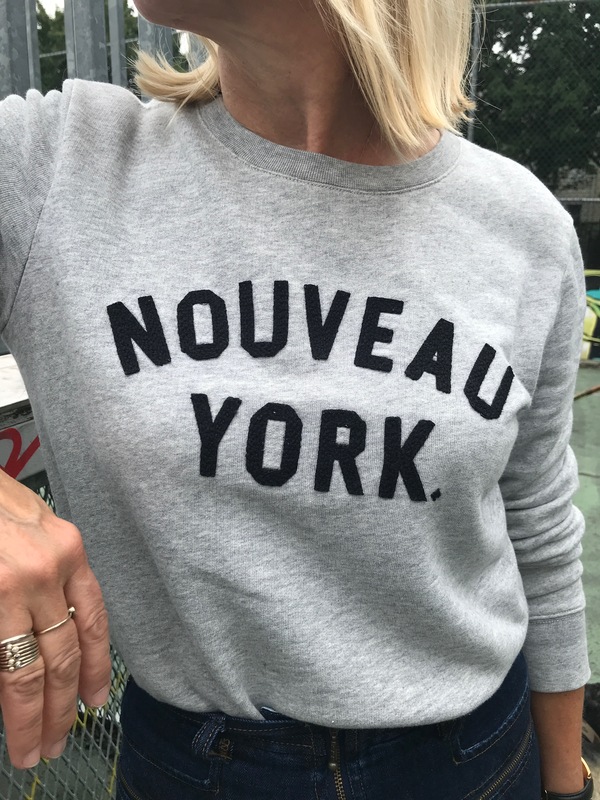 Sweatshirt: (Kate Spade, sold out but available through Rent The Runway) Also love this and this. Jeans: (Karen Walker x Madewell) Also like these and these. Bag: (Mango. sold out) but yay for this and this and this (the original!). 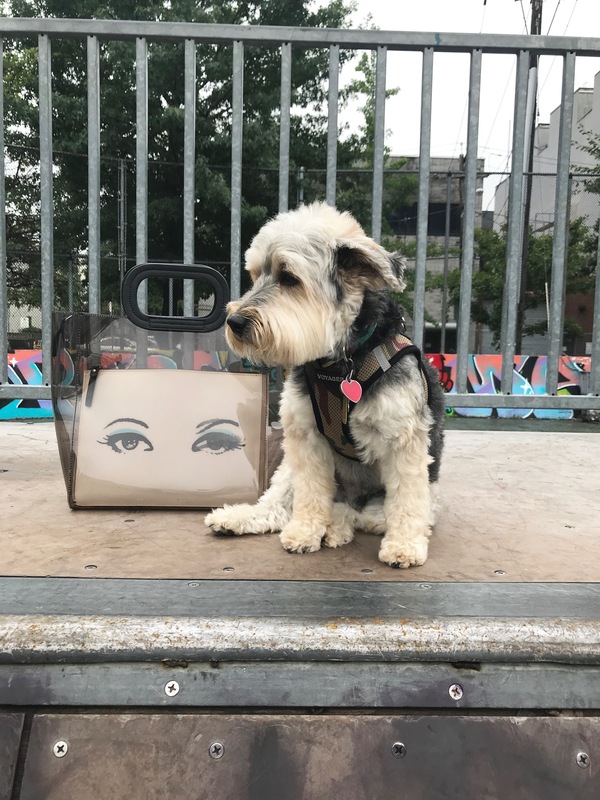 Best accessory: Bowie, the YorkiePoo! Such a fun, refreshing post, MP, and I just LOVE seeing Bowie! Awww, thanks Regina. Bowie is a star, that’s for sure!